For a detailed curriculum vitae, please contact John Kirkland. John Kirkland is an associate with Willamette Management Associates. John performs the following types of valuation and economic analysis assignments: merger and acquisition, business and stock, forensic analysis, transfer pricing, estate tax, intellectual property, marital dissolution, lost profits/economic damages, and appraisal reviews. John prepares these valuation and economic analyses for the following purposes: taxation planning and compliance (federal income, gift, and estate tax; state and local property tax; transfer tax), forensic analysis and dispute resolution, and strategic information and corporate planning, ESOP transaction and financing, and ESOP-related litigation. 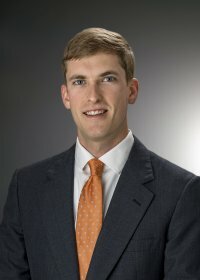 John previously practiced assurance with PricewaterhouseCoopers LLP before joining the Atlanta office of Willamette Management Associates as an associate. John has passed all three levels of the Chartered Financial Analyst program and may be eligible for the CFA charter upon completion of the required work experience.